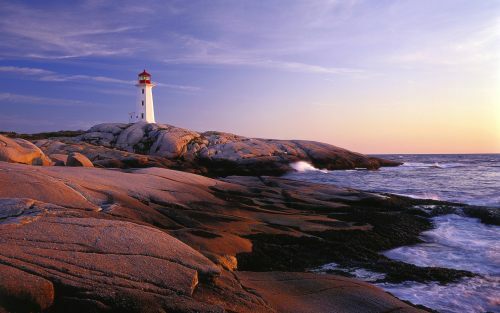 WestJet is showing some significant price drops on their flights from Toronto to Halifax, Nova Scotia - dropping them down to $273 CAD roundtrip including taxes. This is about 33% below the typical best prices between Toronto and Halifax. What's even more interesting is that July dates are a part of this drop. WestJet and Air Canada do not typically like to drop their prices for summer domestic travel. mid to late-May, June, and July 2016. August 3rd is the latest you can come back. In this box, look for dates that cost around $134 CAD on the way there, and $135 CAD on the way back. Tuesday and Wednesday dates are the most common. toronto, yyz, westjet, flight deals, canada, north america, halifax, nova scotia and yhz. 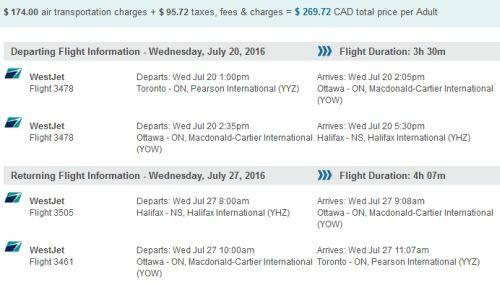 6 Responses to "Toronto to Halifax, Nova Scotia - $259 CAD roundtrip including taxes | summer travel"
this deal is not showing up on flight network. 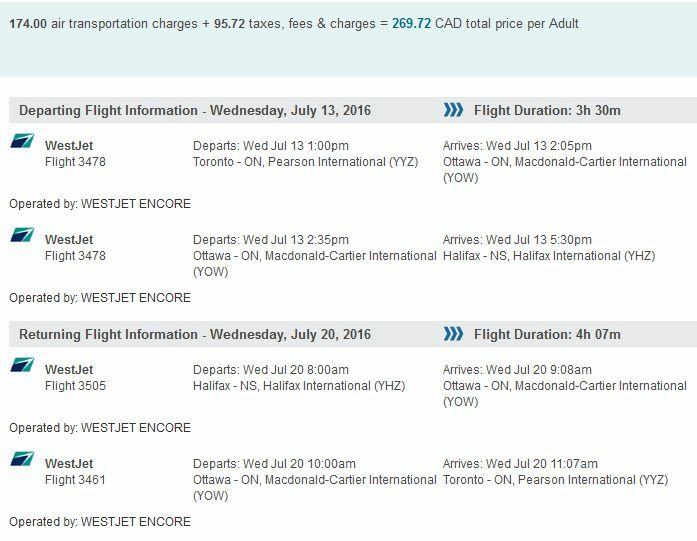 its coming up as $460 round trip for end of july. Update @ 5:16 PM EST - They're still showing up on Flight Network. Try July 13-20 for example. July 27 to Aug 3 is still alive. Some dates only seem to have 1 seat left. Can't find any of the prices. looks like an error or limited sale. darn. They just tend to sell out quickly when it's a really great price. Thanks Chris! Chris I normally book flight through your post but this didn't work as I called Flightnetwork yesterday and did my own search as soon as I got your email.